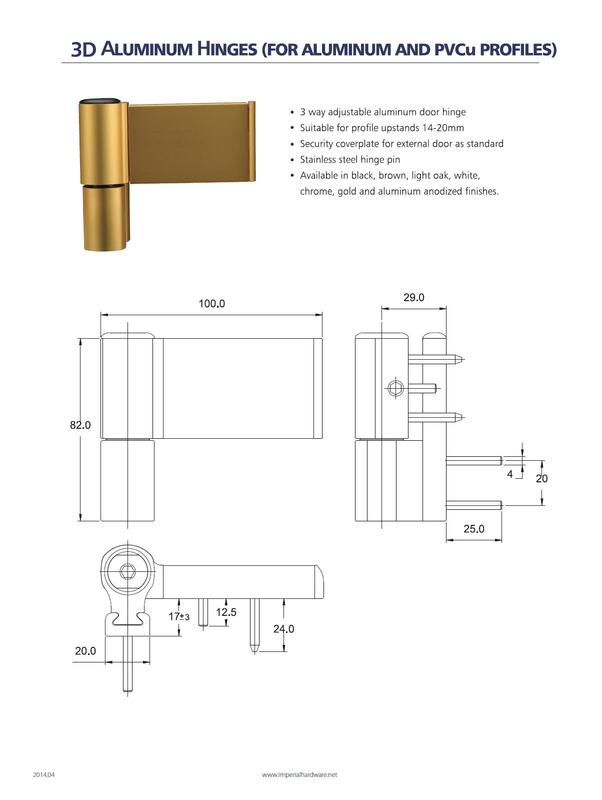 3 way adjustable door hinge. 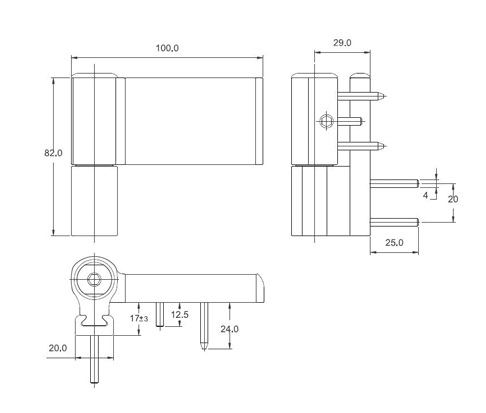 Suitable for profile upstands 14-20mm. Security coverplate for external door as standard. 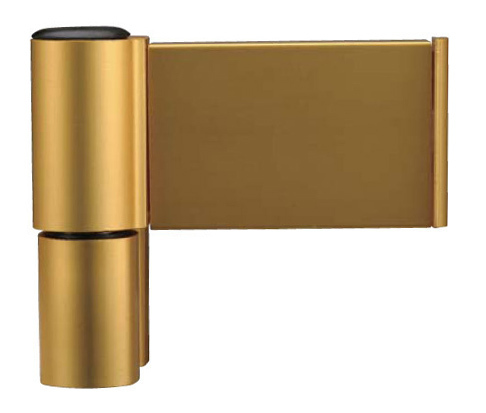 Available in black, brown, light oak, white, chrome, gold and aluminum anodized finishes.